Ask Liz / How do you pack enough water? THE SIMPLE ANSWER: CARRY ENOUGH WATER TO GET YOU TO THE NEXT WATER SOURCE WITHOUT SUFFERING FROM DEHYDRATION; AND DO YOUR RESEARCH. 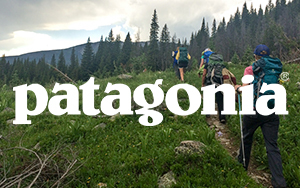 This is a great question and one I've heard echoed by women who have never gone backpacking. So whoever asked this, you're not alone. Carrying pails of water isn't an option, so how do you account for all the water you'll need while backpacking? Carry two 1-liter light plastic bottles of water. I keep them in my backpack's side pockets and drink from one bottle until I finish it. I'll fill the empty bottle and treat it as soon as there's a viable water source. 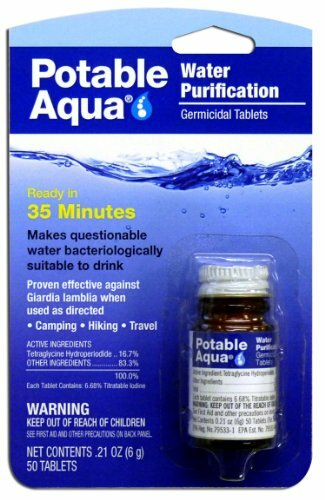 Since I use aquamira to treat water, it takes a minimum of 15 minutes until the water is potable (drinkable). I'll stay hydrated with that second bottle of water. So I always have one liter of water available and one getting treated. Sometimes I carry a collapsable 1-liter water bottle if it's late in the season (which means water sources might be dried up), if the area's been in a drought, or worse, both. This gives me the ability to go for longer stretches without having to find and treat water. 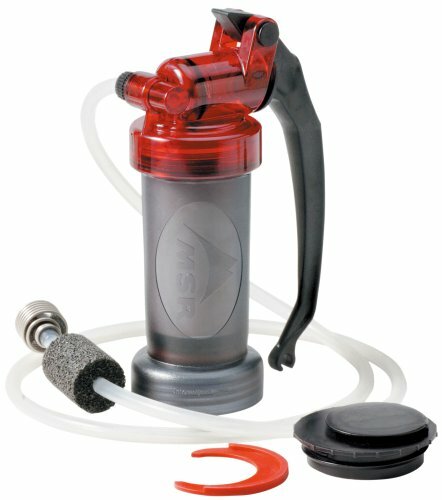 I used to use a water bladder, but found that I never really knew how much water I had left because it was such a hassle to pull it out. I tended to be dehydrated. (Yikes!) I'm a lazy backpacker, what can I tell you? So this two bottle system's been working well for me. Easy. Convenient. Ultralight. TIP: 1 liter of water = 2 lbs, so you don't want to carry a ton of water if you can help it. Do your research. Check maps to see where the water sources are and call a ranger to find out confirm that those creeks/streams/lakes/rivers aren't dried up. They'll have the most up-to-date info. Hope this helps! I hope you find abundant and refreshing water sources! There are a lot of different ways to treat water in the backcountry. This summer, I've been giving Aquamira my full attention and I want to share my thoughts on it because it's a really great system. Aquamira is very well-known in the ultralight (UL) backpacking community, but most folks don't know about it when they're first starting out. 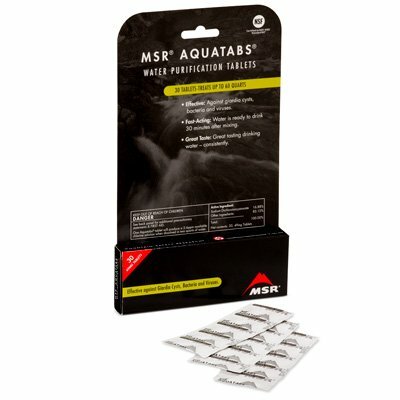 It's probably the most effective, smallest, ultralight water treatments out there. It's basically a two-part chemical that you mix and then drop into your water. Easy! Unlike a filter, you unfortunately can't drink your water right away. The chemicals need to do their magic, killing all of the water-borne diseases (for about 15-30 minutes). For some strange reason, I trusted Aquamira's effectiveness right away, unlike it's pill-form counterparts. I think there's something about seeing the chemical mix into the water right away that feels like it's at work, versus having to wait for (let's say) an iodine pill to dissolve. (Inside voice: "What if the pill doesn't mix thoroughly with ALL of the water?!") Plus, research always helps. 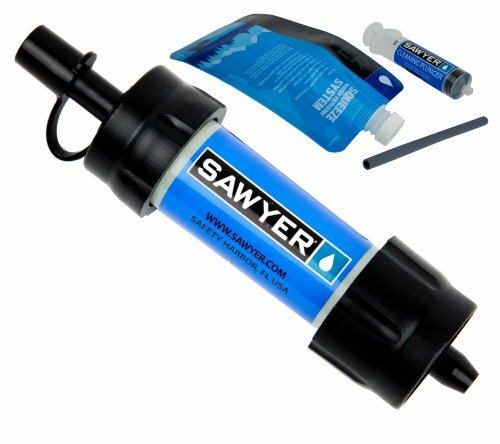 THE PROS: Very effective, ultralight, tiny, affordable, easy, and water tastes pretty good compared to iodine treatment. Purchase small bottles to take only what you think you'll need on your trip. Drop about 20 drops of each A and B into the mix bottle in the morning. That way your Mix is ready for use all day. Keep your Mix safe from heat and sun. If it's not bright yellow, it's probably compromised. Start over. If you have a little left over at the end of the day, mine tended to evaporate. Be careful not to get A, B, or Mix on your skin. 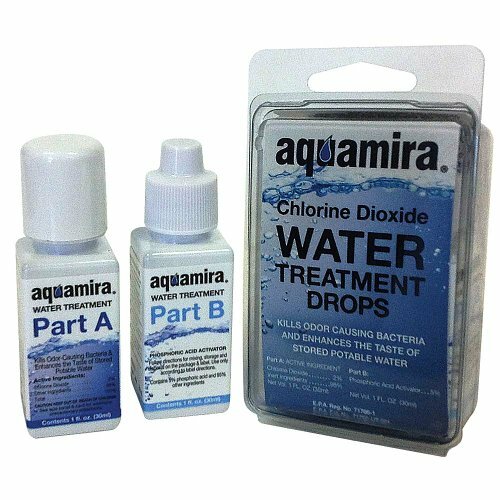 You can smell the strength of the chlorine dioxide when you open the container. Definitely don't want to be getting that directly on your skin. 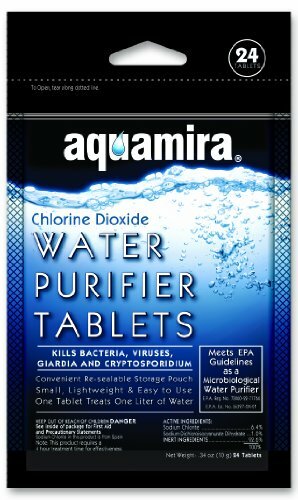 Would you give Aquamira a try? Why or why not? *All purchases made with these affiliate links support Snowqueen & Scout. Thanks! I was once about to embark on a solo backpacking trip in the Bob Marshall Wilderness - affectionately known as "The Bob" by locals - when I came across two older gentlemen moseying around their horse camp at the Benchmark trailhead. The older guy's name was, ironically, Bob. We got to talking and he introduced me to his horses, showed me how to pack for a horse pack trip, and asked me about my decision to venture out solo. You have to imagine this old classic Montanan rancher interacting with random Korean-American girl wandering by herself into a wilderness unfamiliar to most people outside of Montana. It's not where the visitors go; it's where the locals go. I like to believe my presence probably baffled him. Regardless, Bob was incredibly embracing, kind, and supportive. "Oh right, that one time I got GIARDIA and ended up in urgent care hooked up to morphine! And that other time I spent three weeks recovering from an insane case of SALMONELLA and ended up in the E.R. Oh, and that month I spent in southeast Asia with the runs because of G.I. issues." Yeah, really. I hope that thought scares you a little because water-borne diseases are no joke. I'm the queen of G.I. issues, so please hear me when I say it's horrible. When you're not sure if water is potable (safe to drink), you should always treat it. The absolute best way is to boil it for at least three minutes. But boiling water can be cumbersome and not always feasible. Below are the most common water-borne diseases and ways to treat it. This is the most reliable way of eliminating all potential diseases. Bring water to a rolling boil for at least a 3 minutes to make questionable water, potable. Boiling for 10 minutes will sterilize the water; this is unnecessary for drinking. This is a cumbersome method. I don't know anyone who does this on a regular basis in the backcountry. But it is your safest bet! This is the second best option to eliminate water-born diseases. First use a filter to pass the water through a first round of purification. Then use a disinfection method for a second treatment measure. I should probably start doing this since I'm known for contracting serious G.I. issues. This can be a good option for purifying water, but depending on the device, it may or may not filter all viruses. In North America, it's unlikely that you need to filter out viruses, but nothing's ever for certain. 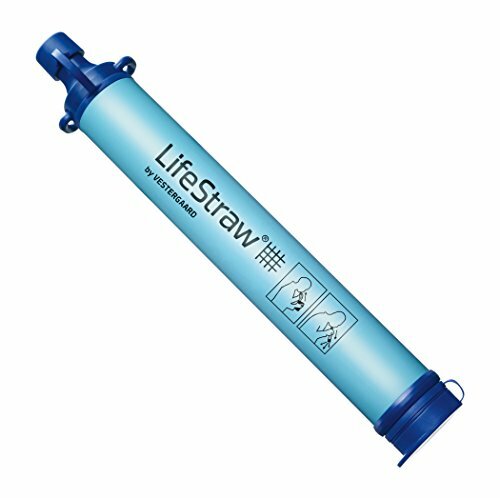 If I had to choose only one or the other as the safer bet, I would choose filtration only over disinfection only because filtering water will catch Crypto. It's pretty fast, but it's heavier and bulkier than a disinfection method. 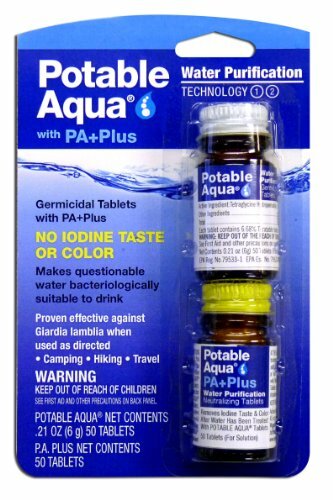 Does a good job of killing bacteria, viruses, and (most of the time) giardia. 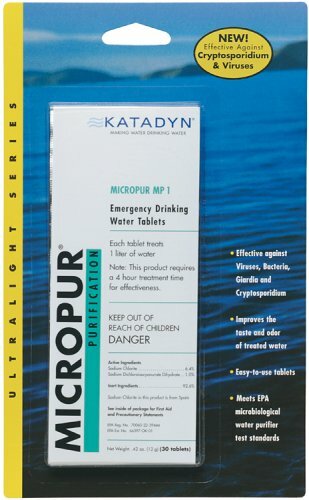 But it's not proven to treat Crypto, which is more likely than viruses in the water. It takes longer than filtration, but it's smaller and lighter. Does most of the job, and tends to be fairly reliable. You can find more info from the CDC here & here.